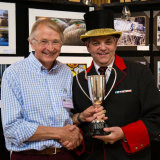 Wessex Photography showcases the work of Wiltshire based award winning photographer Nick Barlow. Over many years he has developed a keen interest in developing his photographic skills including a period of teaching his craft in further education and latterly offering photographic and marketing support to the agricultural industry. If you would like to enquire about marketing support or purchasing prints and greeting cards please send me a message to info@wessexphotography.co.uk or via the form on the contact page. Please note: all images on this site are low resolution copies.